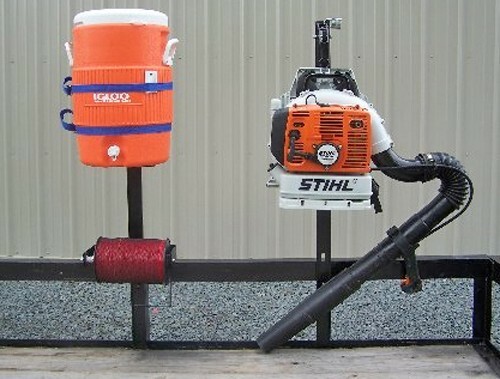 Add holders for 1 backpack blower;(1) 3- to 5-gallon, round cooler; and 1 trimmer line spool to your Pack'em rack. 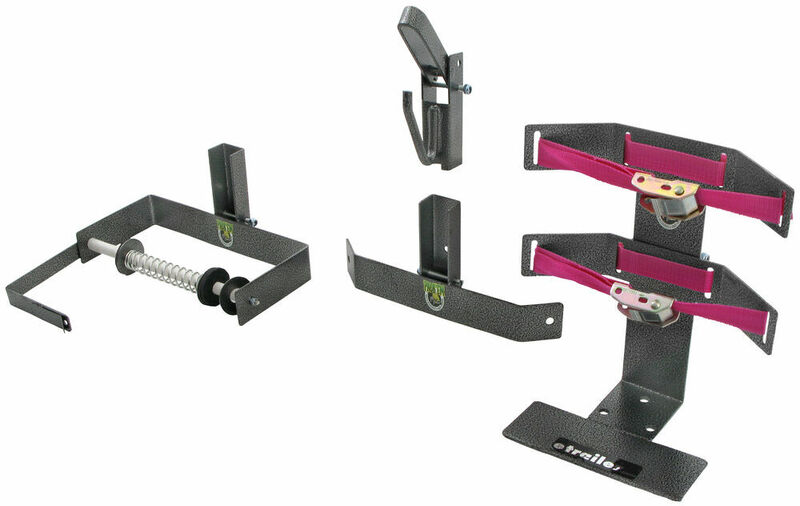 Use with Pack'em tower kit (PK-BM) for a basic setup or with Pack'em trimmer rack (PK-6) for a more complete system. Lowest Prices for the best trailer cargo organizers from Packem. 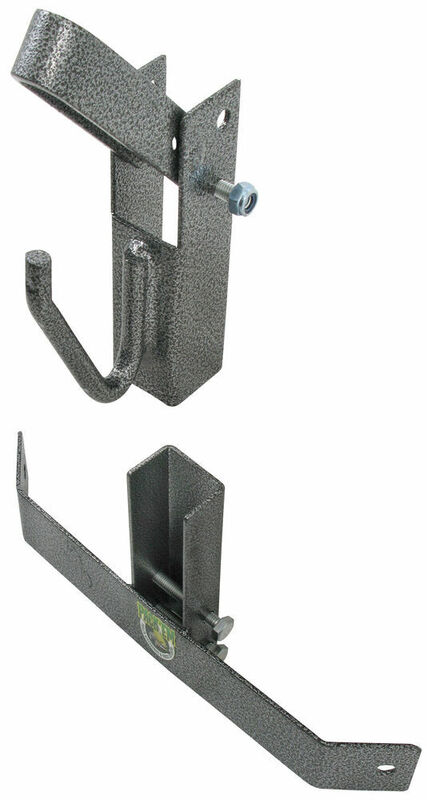 Accessory Holders for Pack'em Utility Trailer Towers - Qty 3 part number PK-OP1 can be ordered online at etrailer.com or call 800-298-8924 for expert service. Add holders for 1 backpack blower;(1) 3- to 5-gallon, round cooler; and 1 trimmer line spool to your Pack'em rack. Use with Pack'em tower kit (PK-BM) for a basic setup or with Pack'em trimmer rack (PK-6) for a more complete system. The backpack blower holder on this rack extension is designed to securely grip your blower at its grab handle. Simply hang your blower from the hook and then fold down the integrated steel arm. Once the arm is properly positioned over the hook, you can lock it in place with a padlock (sold separately). If you have a STIHL 420 backpack blower, you will need to use Pack'Em adapter PA-STIHL420 (sold separately). A different adapter, RA-STIHL, is required if you have a STIHL 350, 550, 600, ECHO, or RedMax blower. The beverage cooler rack consists of a steel frame that supports the weight of a cooler and two adjustable straps to hold it in place. This rack is designed to hold a three- to five-gallon, round cooler or pesticide sprayer. The line holder can hold a three- to five-pound spool of trimmer line. Just slide the spool onto the center rod of the holder and then hook the rod back in place. Now your trimmer line is securely stored and easily accessible for quick, painless unwinding directly from the spool. To determine which Pack'Em base system you need, consult the table below. This powder coated steel rack lets you securely transport 2 full-size trimmers. Requires Rola Haul-Your-Might truck bed ladder rack and top rail kit when mounted to pickup bed rails. Clamp-on installation with included hardware. No drilling required. Designed for use on your open, flatbed trailer, this all-inclusive rack holds 1 backpack blower; (1) 3- to 5-gallon, round cooler; 1 trimmer line spool; and up to 6 shovels. Pre-drilled towers ease assembly. Today on our utility trailer we're going to review an install. The Packem trailer cargo control expansion pack. Part number PK-OP1. Now here's what our kit is going to look like once installed. Our blower is mounted to a 2 piece kit. The top is a simple hook design that will allow the handle to go down over the hook and even lock into place with the pre-drilled holes that a padlock could go all the way through. As we can see here, it's a fully welded steel construction with a really nice hammered powdered coated finish. Supplied with the installed kit is all the necessary hardware for securing our mount to the rail. While the top hook is providing the security for keeping our blower in place, the bottom mount has pre-drilled holes on each side that'll allow you to use a securing fastener. Whether it's a ratchet strap, pull strap, or even a bungee cord so that they holds the bottom of the blower, tight to the upright rail in the mount, so it doesn't swing around when traveling down the road. Now to remove our blower, no matter what fasten style we use. We simply just take it off by unhooking it out of the bottom mount. Set it aside out of the way. Now, if you have a lock in, you want to remove it from the top mount. Pulling simply take our back pack blower. Lift it up and off of top mount, and we're ready to use it or put it up for storage at the end of the year. Now here we have the trimmer spool rack. It will accept up to 3 and even 5 pound spools. It is spring loaded to help hold our spool in place so it doesn't spin and come free allowing extra string to come out when traveling down the road. Really nice feature about our up right rails is it allows the versatility of the kit, because of all the pre-drill holes that match up with the mounting brackets. Our water cooler mount not only gives us a nice easy place to mount our water cooler that's easily accessible, but has 2 convenient pull straps for quick and easy mounting and removal. All right, here we are with our utility trailer and we got our uprights already installed. We're ready to install the OP1 kit. This is a 3-piece kit. We're going to start with the water cooler bracket. Now our water cooler bracket will come with all the necessary hardware for attaching to our rails. When take the nut off and remove the 2 bolts and line up our pre-drilled holes here with the pre-drilled holes in the upright rails. Then go ahead and re-install our fasteners. Once I bolt the bolts in place we'll just re-install the nylon lock nuts. Next let's move to the trimmer strings spool holder. Our spool holder, we turn it around, also has 2 nuts and 2 bolts for securing the fasteners to the rails. Now in choosing to install your kit, the order or location which you choose is solely up to the user. As the pre-drilled holes in the rail will allow us to put it in any order that fits our needs. All right, now we got the fastener loosely installed let's move to our second upright rail. On our second upright rail we're going to install our back pack blower mount. I'm going to start with the top first. Here in the top, we've only got one bolt and nut for securing, but there are 2 pre-drilled holes. That second pre-drilled hold could be used for a padlock for securing your back pack blower to your rail. I have my bolt and nut in place. That hold our top mount. Let's go ahead and secure the bottom mount. The bottom mount is going to have 2 bolts and nuts just like our other attachment points on the other rail, so we'll go ahead and remove our hardware. Line it up and secure it. All right, now with all our hardware in place let's go and tighten it down. Just like that you're now ready to install your equipment. Let's go ahead and start with our cooler. We can go ahead and slide the securing straps over the outside of the cooler. Once we have it in place take our strap and pull it tight. That'll really hold that cooler nice and tightly. We don't have to worry about it going anywhere while we travel down the road. Now let's go ahead and mount our trimmers spool. To start we'll remove the wing nut here on the end, and the split lock washer. We have the securing arm. We'll simply slide the rod through the outer bracket so that we can tilt it away. We're going to remove the metal washer, and rubber washer. Bring in our stringer spool, slide it onto the rod, re-installing the rubber and metal washer. Then go ahead and line it back up. Pushing the rod back through the outer bracket, installing our L-bracket, split lock washer, and then our wing nut. Now our string can go thought the bracket, where it will help hold it in place while we travel down the road. Now our back pack blower is another real simple install. We'll open up the top hook. Hook it around the top handle and let it set in place. To secure the bottom so that it's not swinging while we travel down the road, you can use a bungee cord, we're going to use a pull strap that we'll simply hook into the bottom mount, go around the bottom of our blower, and hook in on the other side just like we did the first side. Then we can just pull it tight. There we go. Now our back pack blower is secured to the blower mounting system. 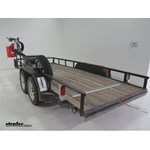 There you have it for the review and install of the Packem trailer cargo control expansion kit. Part number PK-OP1. .
Order: RelevanceNewestRating - High to LowRating - Low to High Add holders for 1 backpack blower;(1) 3- to 5-gallon, round cooler; and 1 trimmer line spool to your Pack'em rack. 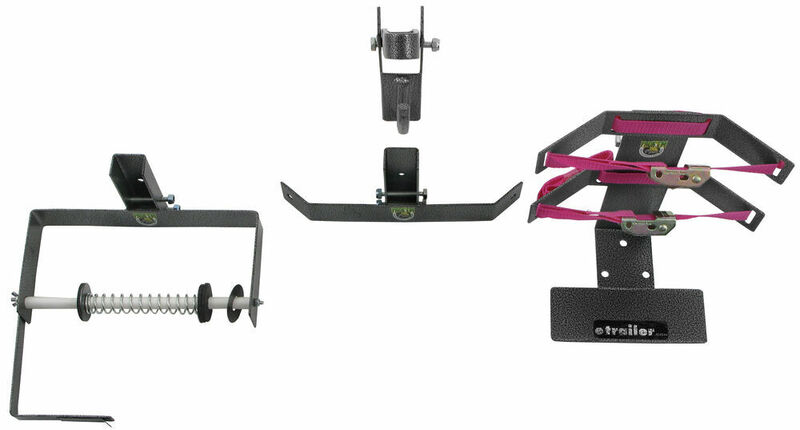 Use with Pack'em tower kit (PK-BM) for a basic setup or with Pack'em trimmer rack (PK-6) for a more complete system. Will this back blower wrack hold a BR600 Stilh? Yes it will, with an additional adapter. You will need part RA-STIHL to allow the use of Stihl 550/600 blowers. If you do not already have them, you will need the tower kit, part PK-BM. This is what the blower mount will anchor to. 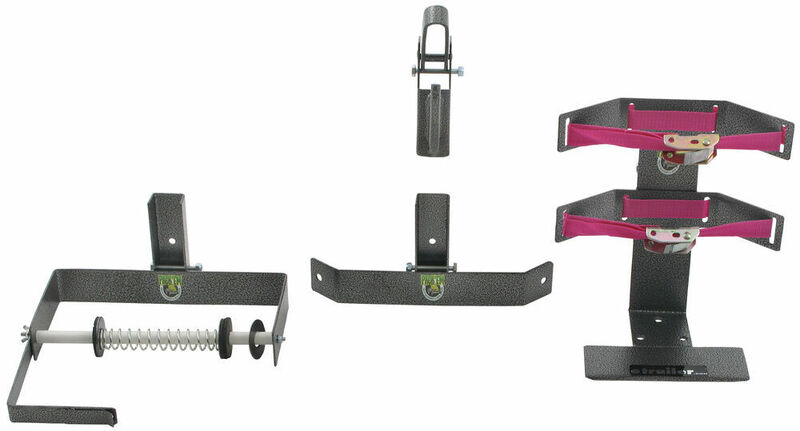 The mounting hardware is not included PK-BM so that you can choose the hardware that will best work with your trailer. The Pack'Em Expansion Pack # PK-OP1 has not been fitted for compatibility with your specific Husqvarna backpack blower 570 according to the manufacturer. However, the only models that have confirmed need of an adapter are the STIHL 350, 550, 600, ECHO, or RedMax models requiring # RA-STIHL. Depends on which Stihl blower you have. If you have BR350, BR430, BR550 or BR600 you would want the part # RA-STIHL. If you have the BR420 or 320 you would want the part # RA-STIHL420. 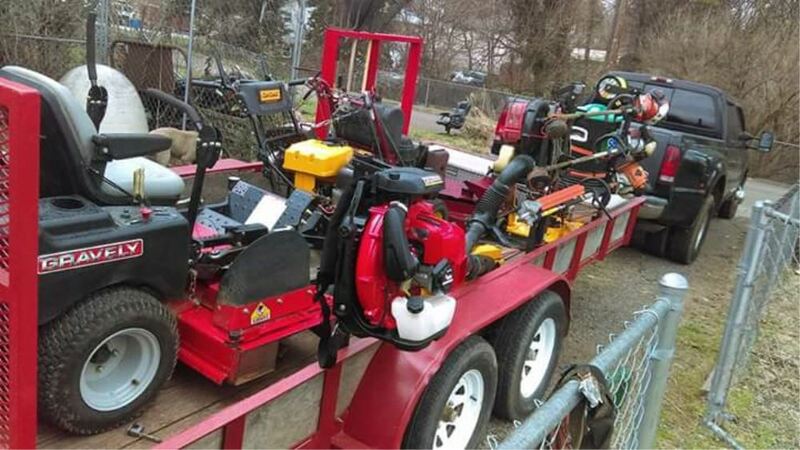 We do offer a wide range of trailer cargo organizers suited for landscaping and hardscaping activities. All of these can be seen on the linked page. You can click on the filters to select a specific type. One of the items, a cooler rack such as Pack'Em # PK-OP1, might be adaptable to your needs for a sprayer rack but without knowing its shape and dimensions I cannot say for sure. The cooler holder accepts up to 5-gallon-size round coolers. Unfortunately, the backpack blower rack is only available as part of the Pack'Em Expansion Pack, part # PK-OP1. This kit holds a blower, a trimmer line spool and a cooler. I wish these were available as a separate item but they are only available in the kit. 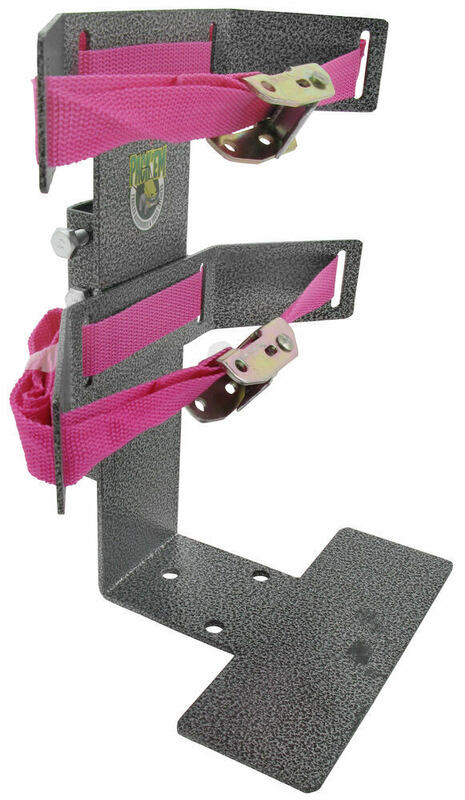 The Pack'Em Trimmer Rack part # PK-6S installs directly on the trailer's side rail (see photo 1). The Pack'Em Expansion Pack part # PK-OP1 installs on a set of uprights like the Pack'EmTower Kit for Pack'Em Racks part # PK-BM (see photo 2) so I am not really sure I understand what you mean. They do not attach to one another. Please let me know if you need further clarification. The Expansion Pack # PK-OP1 is designed to be used with a trimmer rack, # PK-6, or tower kit # PK-BM so you would first need to install one of those. Then the expansion would be added to it. You shouldn't have any issues using it on the Pack'Em Rack for Open Utility Trailers, Part # PK-OP1. Adapters are required for STIHL 420, 550, and 600, ECHO or RedMax backpack blowers but not for other models such as your BR200.